Hello and welcome to a super fun week of product shares. We’ve partnered up with our friends over at Neat & Tangled to share a few of a their new products and how amazing they work with our Real Wood papers. 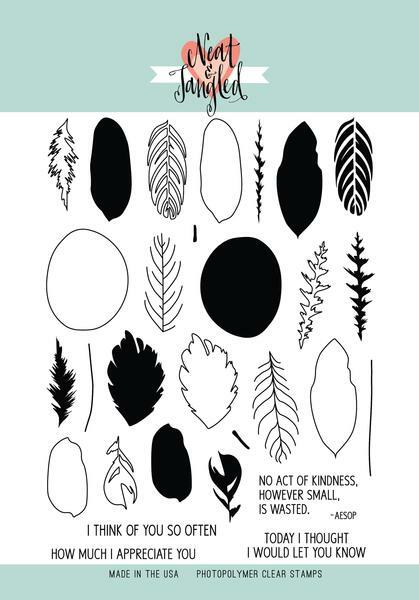 You are in for an inspirational treat! Are you familiar with Neat & Tangled? Neat and Tangled is a small company based on the East Coast in Delaware. 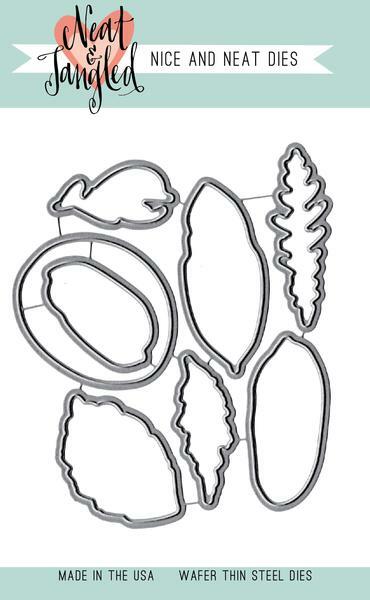 Their focus is on producing the best quality photopolymer clear stamps, steel craft dies, stencils and sequins. 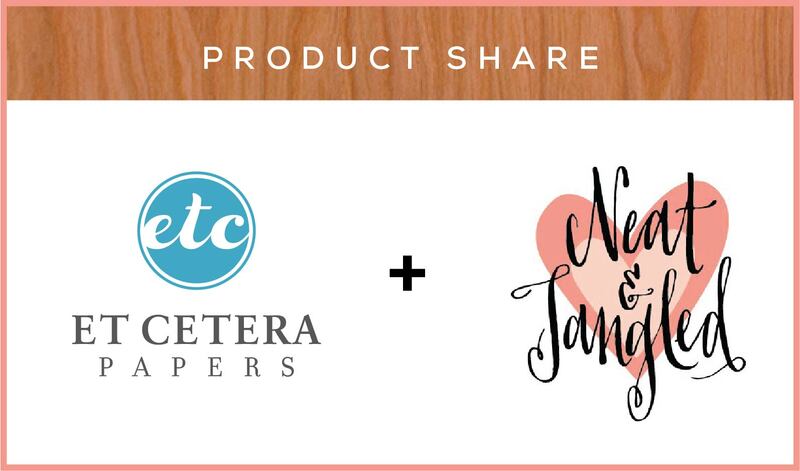 Just like Et Cetera Papers, their products are proudly produced right here in the USA! 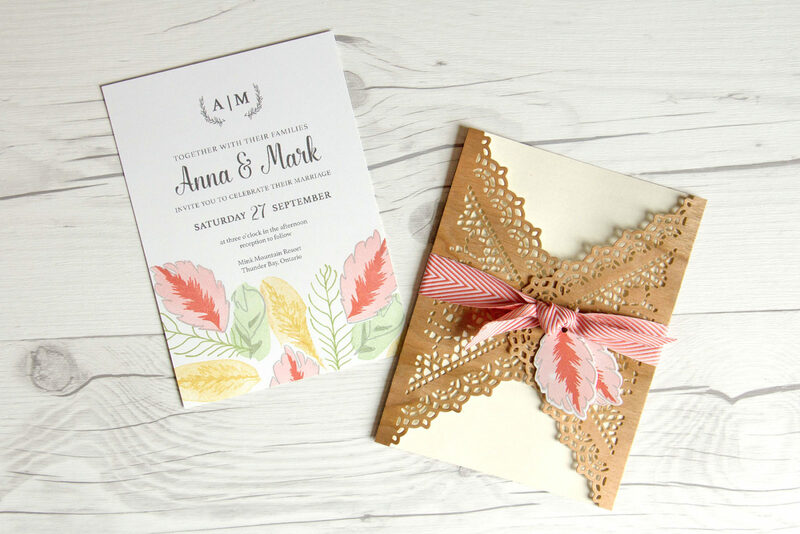 Today we are sharing this Cherry Wood Envelope and stamped wedding invite made with the most detailed and intricate Doily Envelope die. 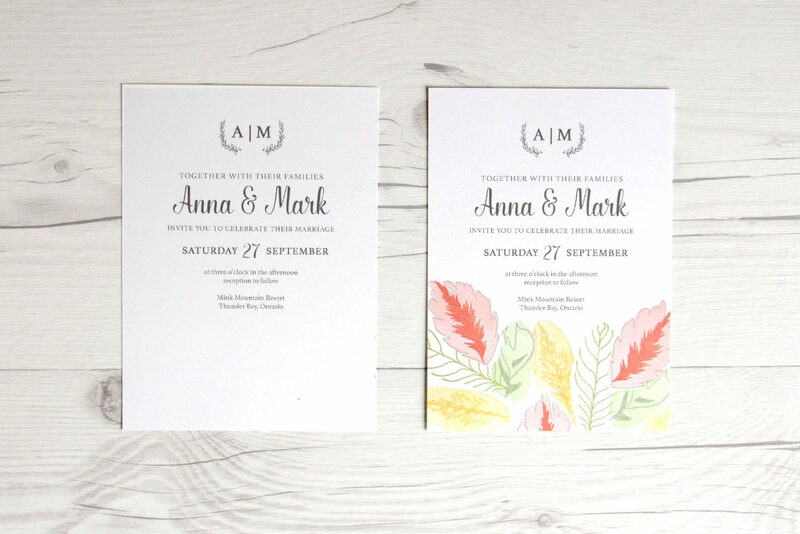 This is a gorgeous die design and were smitten on first sight. Our Real Wood Paper looks amazing when it has been cut using this die. 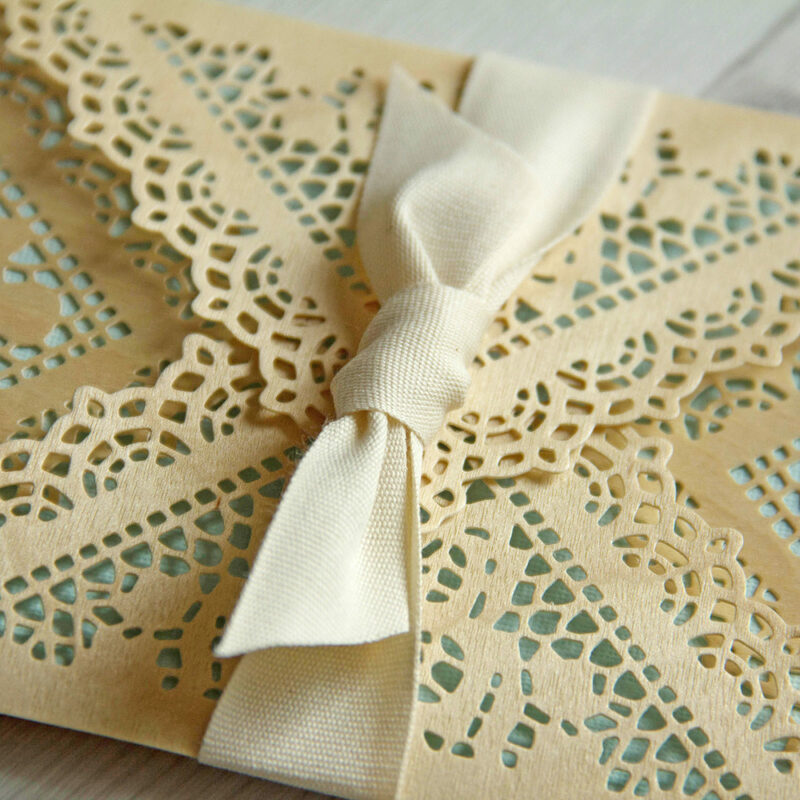 We’ve created two intricate doily envelopes using our Real Cherry Wood and Birch Wood papers. 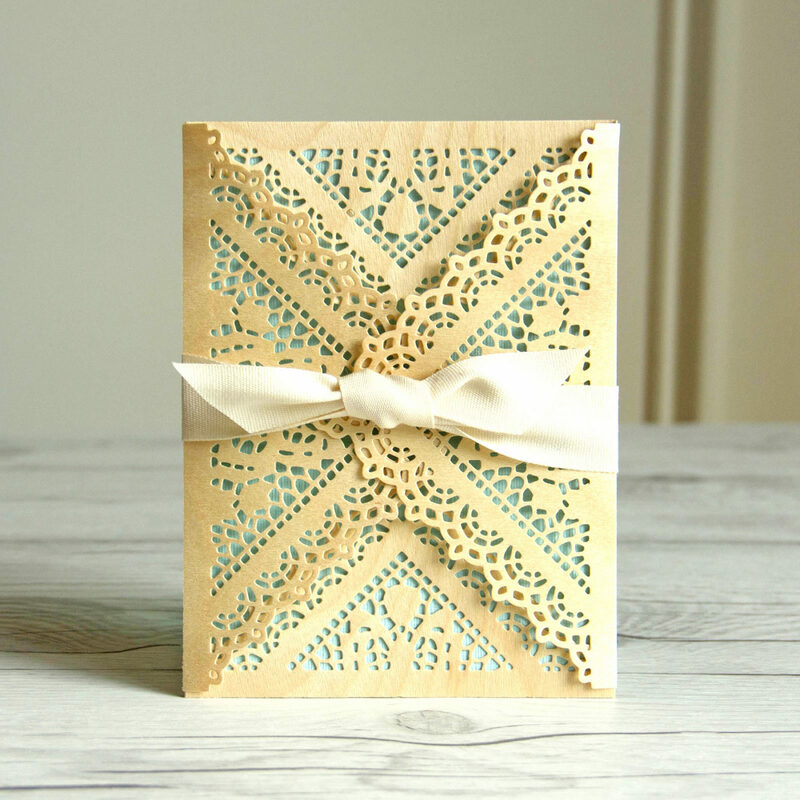 These envelopes are stunning and this Doily die cuts our wood paper like a dream. We stamped the floral and fauna images on the bottom of this wedding invitation using the Calthea Stamp set and matching Calthea dies. The die images helped us create simple masks so we could overlap the stamped images easily. 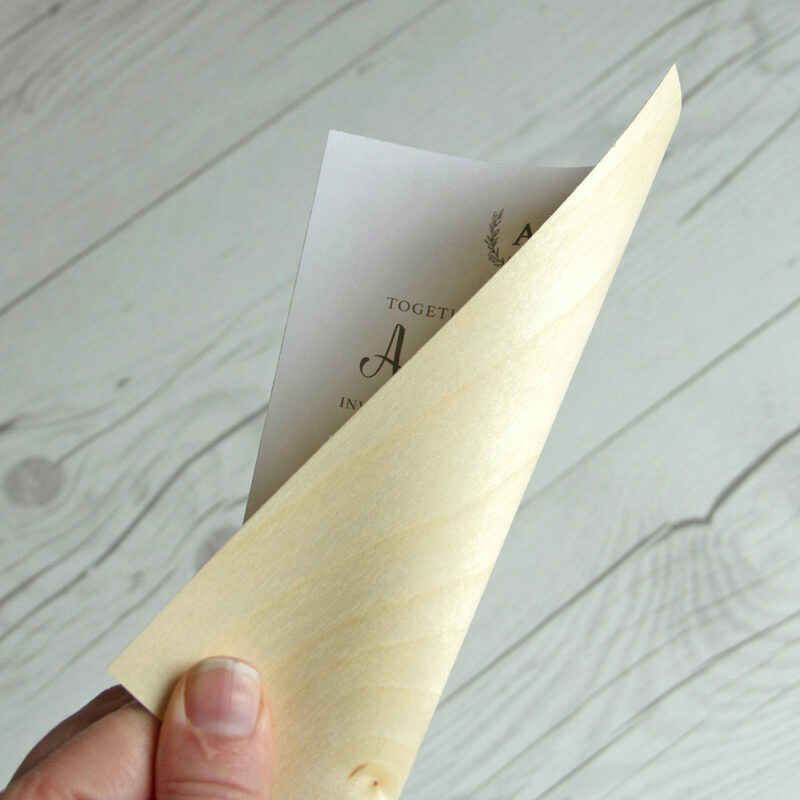 We lined the backside of this wedding invite with Real Birch Wood paper. 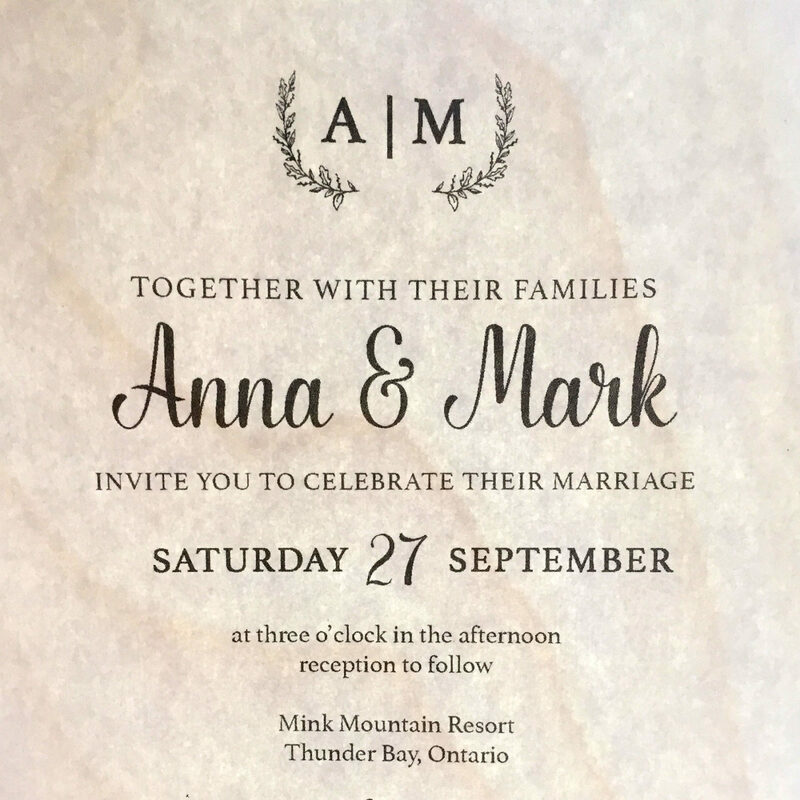 If you look closely you can see the wood grain through the front of the invitation. 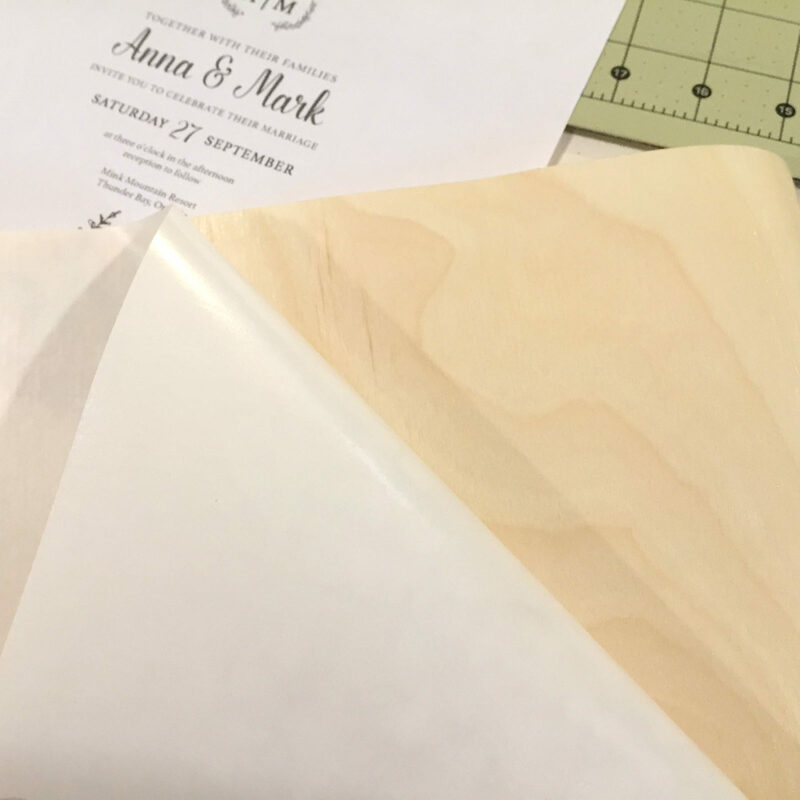 Our wood paper has an adhesive backing that makes it super easy to adhere to any surface. With each post this week you have chance to be entered to win a Neat & Tangled gift card ($25 Value), courtesy of our friends at Neat & Tangled. Simply enter your name in our comment section below and be sure to give Neat & Tangled a follow! You can also enter to win some of our fabulous products, get those details over on the Neat & Tangled blog. Stop back every day this week for more product shares with Neat & Tangled. 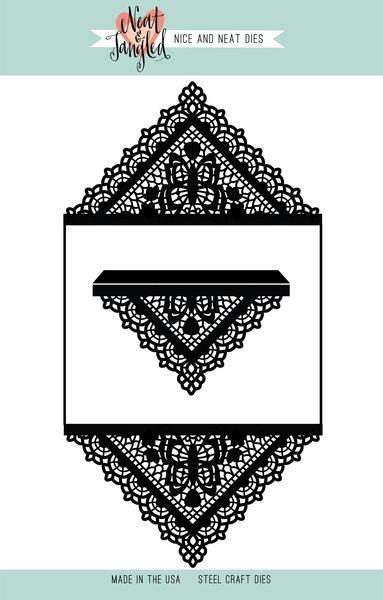 This entry was posted in Card Making, DIY Projects, Stationery & Envelopes and tagged neat & tangled, Wedding Invite, wood doily, wood envelopes.